Our white corn whiskey infused with all natural spices and 100% pure apple juice. It is sippably delicious! Visiting Johnston County, NC? 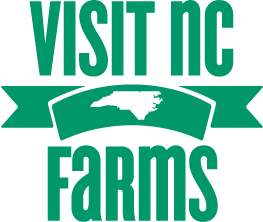 Come see us and tour North Carolina's FIRST farm distillery! During our approximately 1 hour tour, visitors will learn about our all natural, handcrafted premium products, how and why we make them, and receive a free shot glass and tasting of our products. Tour cost is $12. IMPORTANT: To ensure your place on a tour, click the Book A Tour button below to reserve your spot! Tickets are non-refundable, however, they are transferable. You may transfer your tour time up until 24 hours before your scheduled tour. NOTE: If you purchase a deal from Groupon, do not try to book your reservation below!!! Please, just bring your voucher in at one of our scheduled tour times to redeem it! You do not have to schedule your tour time-just come! Private group tours: Reservations are available for groups of 10 or more on a very flexible schedule and at a reduced rate. Please email broadslabdistillery@gmail.com for more information. Visitors must be 21 to taste and ID’s will be checked. Children are welcome to join you, but they must be accompanied by a parent or guardian. Back in the early 1800's, whiskey production was a common means of supplementing farm income. Self sufficient individuals converted their home-grown grains into this more liquid commodity. Competition honed the skills of these rural distillers who strove to create a demand for their own special whiskey. Prohibition made the trade illegal and forced many out of production. Other, more daring and industrious entrepreneurs practiced their trade in hidden locations, oftenlate at night, tending their stills and delivering product by the light of the southern moon to avoid detection - a practice which resulted in its infamous "Moonshine" nickname. It would be rare to overhear a conversation about the moonshine legacy of rural North Carolina without the mention of "Broadslab," the infamous Moonshine Capital of Johnston County. Broadslab has been home to my family for many generations, and is deservedly the name sake of our distillery. While Broadslab Distillery is a new company, our product, Broadslab Legacy whisky, is no "Johnny-come-lately." Nearly 150 years and the skills, knowledge, and techniques of five generations of whiskey makers - beginning with my Great-Great Grandfathers back in the late 1800s - have gone into perfecting this product. While some simply purchase commercially available grain alcohol, which they bottle, label and pass it off as "Moonshine," this is the real deal - the authentic, artisan crafted product that built reputations, created legends, and endured time and trials through taste and quality. We take great pride in our entire process and cut no corners. Broadslab Distillery grows and harvests our own sweet, food grade white corn. Our corn is put through a special malting process that results in a smoother finish. The meal for our mash isground on our own mill, powered by an antique IH Super A tractor, blended with pure cane sugar, and worked off in oak barrels. Broadslab Legacy Shine is distilled in small batches in a uniquely designed, handcrafted, solid copper, pot still that is, in itself, a work of art. Our whiskey is hand-bottled in 750 mL bottles, corked, wax sealed, labeled, and packed 6 bottles per case. We take pride in using American made bottles and packaging. Whether you choose our Broadslab Legacy Shine, white corn whiskey, or our Broadslab Legacy Reserve, with it's oak aged refinement, we hope you enjoy the fruits of our labors. Please drink responsibly as you savor the smooth flavor of genuine history, captured in every bottle of Broadslab Legacy whiskey.